Published: July 25, 2012 at 02:58 p.m. Some might think the New Orleans Saints' offense is going to take a step back without suspended coach Sean Payton at the controls. But as I see it, nothing could be further from the truth. The offense will flourish with offensive coordinator Pete Carmichael Jr. calling plays. In fact, it could be even more explosive than the 2011 version. 1. Carmichael has already been prepped for the role. After Payton injured his leg in Week 6 of the 2011 season, Carmichael stepped in to take over the offense. No one knew then that this would pay huge dividends in 2012, but the 10-game trial run allowed Carmichael to demonstrate his offensive capabilities and earn the respect of his fellow coaches and the players in the locker room. I was blown away by the Saints' remarkable production under Carmichael. The unit averaged a staggering 476.1 yards, 26.9 first downs and 37 points per game, amassing 500-plus yards of total offense in four outings and topping the 40-point mark six times in that span. Carmichael didn't deviate much from the diverse, high-octane approach favored by Payton. He continued using multiple formations and personnel packages to mask New Orleans' favorite concepts, and showed the creativity to implement new play designs that exploited opponents' weakest areas. Most importantly, Carmichael made game-day adjustments to counter effective defensive tactics. In the NFL, the most-feared play callers have the football aptitude and confidence to alter their traditional approach when needed. Carmichael routinely switched his script based on the defensive game plan, a skill that was never more important than during the Saints' win over the Detroit Lions in the wild-card round of the postseason. Graham (left) and Sproles (right) are assigned to chip the defensive ends before they head out into their routes. Click here to watch video of Brees connecting on a 40-yard bomb to Marques Colston on the play. 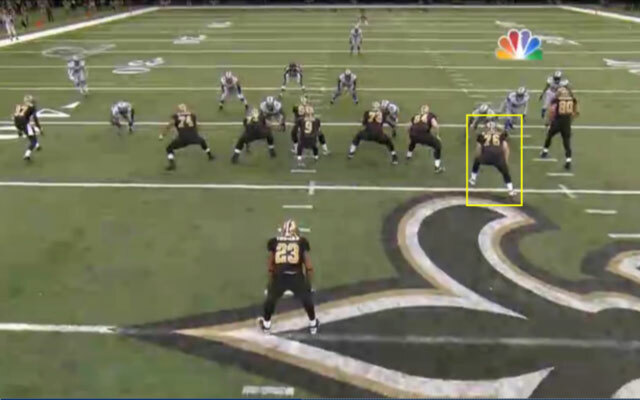 The Saints also used an extra offensive tackle to create a six-man line, another move that eliminated the short corners on the edges and allowed Brees to throw comfortably from the pocket. 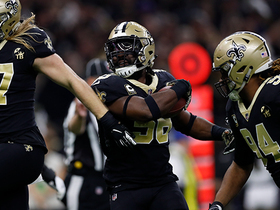 Given more time to attack a vulnerable Lions secondary, Brees posted yet another 400-yard passing game, and the Saints topped the 40-point mark in Carmichael's first shot calling plays in the postseason. 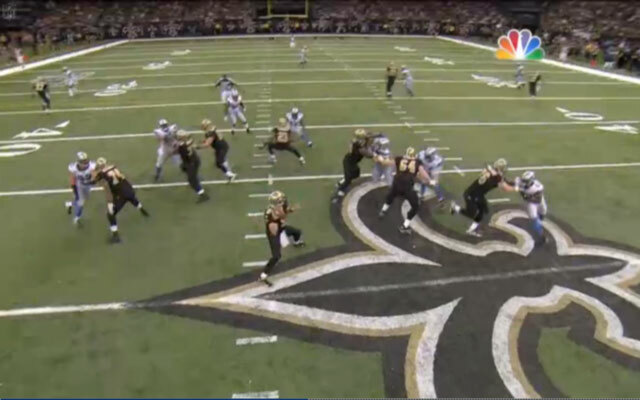 Click here to watch video of Brees using that time to find Robert Meachem for a 41-yard completion. The Saints are heading into the 2012 campaign with a proven, flexible and adaptable offensive mastermind at the helm. 2. The chemistry between Brees and Carmichael is strong. 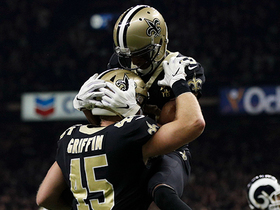 For all of the talk about the synergy between Brees and Payton, Brees' relationship with Carmichael has been paramount to the quarterback's success throughout his career. The duo has worked together since 2002, when both were with the San Diego Chargers (Carmichael started as an offensive assistant before being promoted to assistant wide receivers coach). Carmichael served as the Saints' quarterbacks coach before becoming offensive coordinator in 2009. This deeply forged bond between quarterback and play caller will keep the Saints' offense running smoothly in 2012. In fact, Brees and Carmichael could be poised to make some magic, based on their production a season ago. 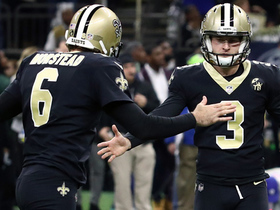 During the 10-game stretch with Carmichael calling the plays, Brees completed 73 percent of his passes for 3,324 yards and 33 touchdowns while tossing just six interceptions. He notched more than 300 passing yards during eight games in that span, and posted a passer rating of 100.0 or better in eight of the Saints' final 10 games. Brees' efficiency was certainly impressive, but his game-management skills truly stood out to me. He never appears flustered or rattled and this calm demeanor allows him to perform at his best in clutch moments. This poise, which has been one of his biggest strengths throughout his tenure in New Orleans, was readily apparent while Carmichael was in charge. Brees had the field presence to drive the Saints to play at a quicker tempo -- a frenetic pace that overwhelmed opponents. When I broke down the Saints' Week 12 win over the New York Giants last season, I was blown away by their offensive speed. They didn't waste time getting in and out of the huddle, and disrupted the rhythm of the Giants' defense by constantly and rapidly shuffling personnel. 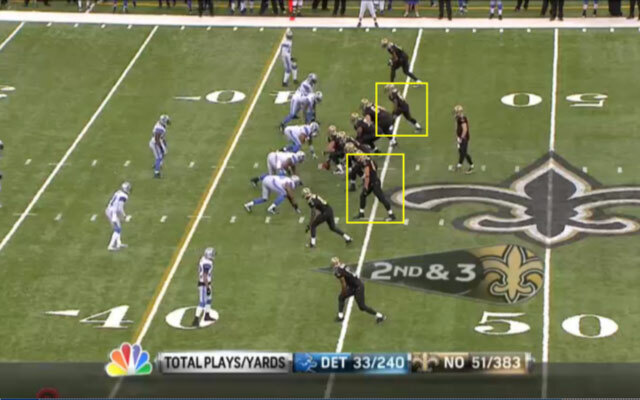 As you can see in the video to your right, Brees operated the Saints' offense like it was a well-oiled machine. With Brees in the fold to manage the flow and rhythm of the offense, the Saints' juggernaut will continue to roll. 3. The continuity of personnel will ease Carmichael's transition. 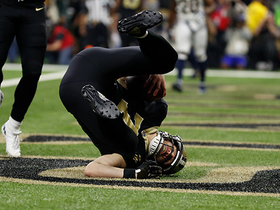 The Saints' offense is flush with veterans who are well-versed in Payton's offensive system. Receivers Colston, Lance Moore and Devery Henderson provide stability on the outside, while four starters return to an experienced offensive line. Freed from having to assimilate multiple players into a new offensive system, Carmichael can focus on adding a few wrinkles to an established scheme in training camp. The Saints can also spend time working on pure execution, rather than learning the basics. For example, the coaching staff can move quickly through the installation process in the first few weeks of camp and spend more time working on complex strategies, including ways to counter potential defensive tactics. The players and coaches will be better prepared to adjust on game day, leading to consistent production, regardless of their opponent.